Increase Mac speed by optimizing Mac: How to Keep Mac OS X Mavricks optimized? 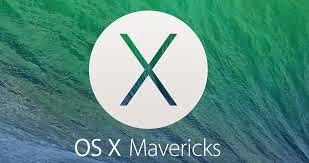 How to Keep Mac OS X Mavricks optimized? Apple's OS X Mavericks(10.9) is now available at Mac App store. If Mac uses have minimum requirement like you are running Mountain Lion then you can download Mavricks. There are many new applications e.g- Maps and iBooks, redesigned system apps, and new energy - saving technologies like App Nap and Safari Power Saver etc. Mavricks OS X has the great ability to manage less power consumption. In Mavericks, there is a new character popover to access special character. You can also access the old-style Special Characters window by clicking the icon next to the search field. You can also access old version from here- File > Revert To > Browse All Versions. This new updated finder will allow you to open a new tab in Finder with ⌘T. You can move between open tabs with ⌃⇧⇥ and ⌃⇥. This application is very helpful for those who love reading. You can import books from iTunes in this iBook Apps and read them. It will show you a new battery notification for low power, users can see the contact photos for Messages from Banner notifications. New message button is added on the top of the notification centre, when you click, it will open a small compose box similar to the Tweet and Facebook. widgets. Safari:- Safari’s AutoFill settings have a new option for adding and managing credit card information. There are new option in Preferences > Advanced lets Safari stop Internet plugins to save power. Whenever you would open safari 7, you will see the top sites(google, facebook, twitter etc.) on that page. Maps:- If you are planning to trip through your Mac then it helps you to show directions automatically when you will be on road. You can look up directions on your Mac and send them to all your iOS devices. Calender:- This apps has new look in Mavricks OS X. You can manage your time easily with this tool, this apps will show you the address location when you do start typing during event editing process. iCloud chain:- This apps helps you to keep remember website user names and passwords on the Mac and iOS devices you’ve added and always update them. It allows protection for them with robust 256-bit AES encryption. You can also keep credit card information with this application. Tag:- This app helps you to organize and find your files. You can tag the files which is important to any single keyword. New features will definitely helps you to do your work easily, but there are some third party tools which help to keep your Mac optimized and smooth in performance. Stellar Drive Defrag is one of the famous tools to defrag your Mac and increase it's performance. With the passage of time, your Mac becomes slow because of fragmented data scatters over Mac disk. However, new OS X 10.9 has great power to minimize fragmentation with some limitations. Defrag tool of Stellar is a very good option to defrag OS X Mavricks easily. Just go through it and stay away from worries of slow Mac.